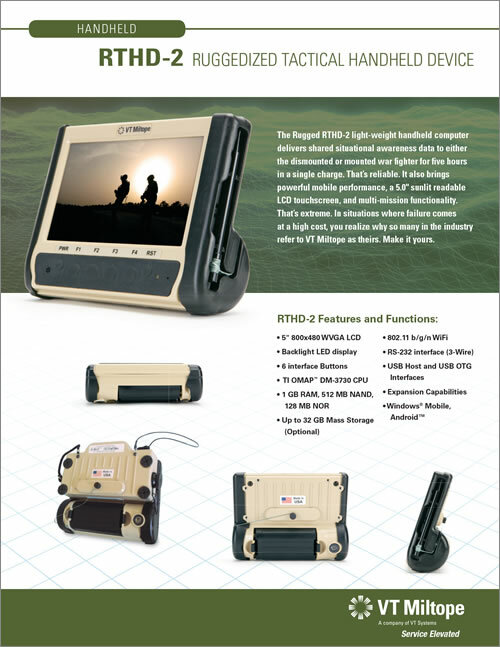 The Rugged RTHD-2 light-weight handheld computer delivers shared situational awareness data to either the dismounted or mounted war fighter for five hours in a single charge. That’s reliable. 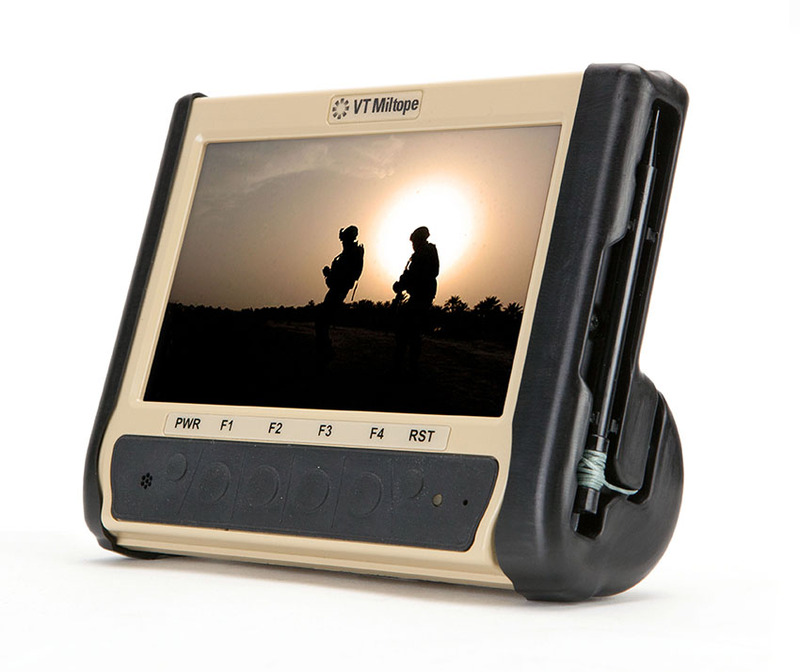 It also brings powerful mobile performance, a 5.0″ sunlit readable LCD touchscreen, and multi-mission functionality. That’s extreme. In situations where failure comes at a high cost, you realize why so many in the industry refer to VT Miltope as theirs. Make it yours.